Why You Should Choose an IDA Dealer for Garage Door Replacement | Doors by Nalley, Inc. The IDA (International Door Association) is a trade organization comprising of garage door installers, dealers and system technicians who work to develop and promote dealer excellence through sharing knowledge, ideas and resources. Members participate in continuing education programs, including trade shows, conferences and seminars. Customer Satisfaction: This is of utmost importance to IDA dealers. They must see customer satisfaction as their top priority and handle all complaints in a fair, timely and honest manner. Responsible Conduct: Dealers are to avoid practices or conduct that may discredit their companies and/or the door and access systems industry. They must honor their commitments and obligations to customers. Furthermore, they must avoid practices or conduct intended to discredit their customers and/or their competitors. Product Installation: This should be performed in accordance with specific instructions provided by the manufacturer. Truthful Advertising: Product and corporate literature, letters, advertising and sales presentations must be strictly truthful, without inaccurate or misleading claims. Safety Compliance: IDA dealers must provide a safe environment for their employees and comply with relevant safety regulations. Moreover, they are to inform customers about product safety features and precautions to be taken in the maintenance and operation of a door system. Truthful Selling: Dealers are not to use misleading selling practices and techniques to encourage customers to buy unnecessary services or products – for example, saying that garage door replacement is required when it is not. 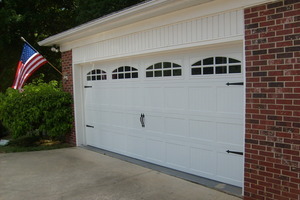 For garage door replacement in Charlotte NC, contact us at Doors by Nalley, Inc. A family-owned business for over 20 years, we are proud of the high-quality craftsmanship and excellent customer service we provide. Give us a call anytime!